First off, I have a confession to make: I'm the proud owner of a Dodge Grand Caravan. I've come to love and appreciate our family minivan because of how practical it is, especially with three kids under six years old, a dog and, periodically, the need to tow a trailer. However, over the last few years I've also come to consider myself a cyclist (and pedestrian). This isn't something that happened overnight. It was the result of slowly trying to change my habits and mindset in incremental steps. You've probably heard of a variety of reasons why people choose other transportation options, such as cycling. I find it's a good way to build exercise into my day without necessarily having to go to the gym, while reducing my carbon footprint. Others might have different reasons, such as wanting to reduce transportation costs, not being able to afford a car, not being able to drive, etc. Until three years ago or so, my family and I lived in a good-sized bungalow in Southdale. We liked the house and appreciated its proximity to parks, schools and the community centre, but we found that not being in a central location and the need for more cycling infrastructure both had an impact on the transportation options available to us. This meant having to rely on our cars to get around as they were often the only viable options. We eventually decided to downsize our home and move to Norwood Flats, a more central neighbourhood in St. Boniface. This was probably one of the best decisions we've ever made. After moving, I started to cycle more. I was lucky to be able to rely on neighbours and friends for encouragement and advice about how I could incorporate more cycling in my day-to-day activities. I began my journey by starting to cycle, rather than drive, when visiting friends living in Osborne Village, the Exchange District and around St. Boniface — all relatively easy destinations to reach by cycling. I later expanded this to cycling to local stores for smaller shopping trips for the essentials. I also began to cycle to work a few times a week (admittedly also conveniently located in St. Boniface) when not having to drop the kids off at daycare and school. This summer, after purchasing a Chariot and Trail-a-Bike, I also began trekking around the neighborhood with the kids in tow, to destinations such as Fort Gibraltar, The Forks and local playgrounds. On some days, we've even cycled to drop the kids off at daycare. Unfortunately, many Winnipeggers do not have any viable options other than driving to work. We still use the minivan and our second car to get around, but we are now at a point where we use active modes of transportation for many of the trips that would have involved driving in the past. I've started to think about trying winter biking a few times a month as my next goal. My wife and I also hope to one day soon be in a position to go from a two-car to a one-car family. Obviously, because of different circumstances, not everyone is able or even willing to do the same. Each of us need to go about this in our own way. The point I'm trying to make here is that for most people, wanting to use other types of transportation, such as cycling, doesn't happen overnight. Changing long-term habits takes time, but I believe that doing so incrementally is the way to go for most. 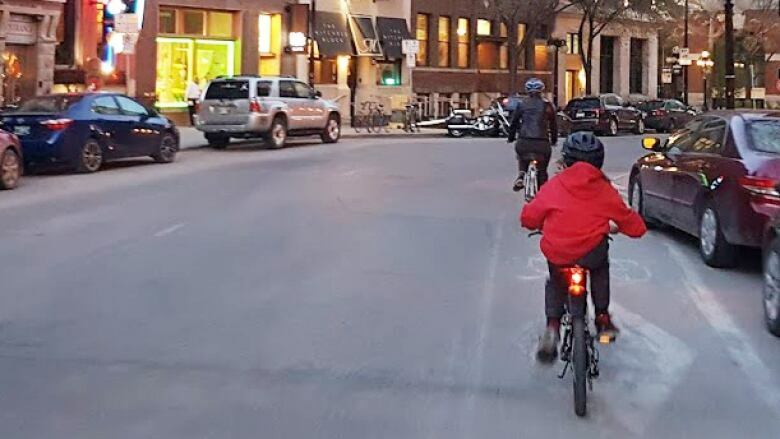 Since becoming a cyclist, I've also heard anecdotally from many people interested in doing the same that they feel it wouldn't be safe, especially for kids. I was heartened to learn of the results from a recent poll conducted by Probe Research on behalf of CAA Manitoba and Bike Winnipeg, which found that 21 per cent of Winnipeggers consider themselves regular cyclists and another 35 per cent would cycle a few times a week or more with improvements to cycling infrastructure and safety. However, anyone following the local political scene will have quickly come to realize that the way that people get around our city is often discussed using an "us versus them" frame that I don't think is helpful to anyone, whether they are drivers, transit users, cyclists or pedestrians. We need to move from labelling people as either drivers or cyclists (or pedestrians or transit users) to recognizing people will (and should) choose different transportation options depending on specific circumstances — and we need to respect the choices they make. 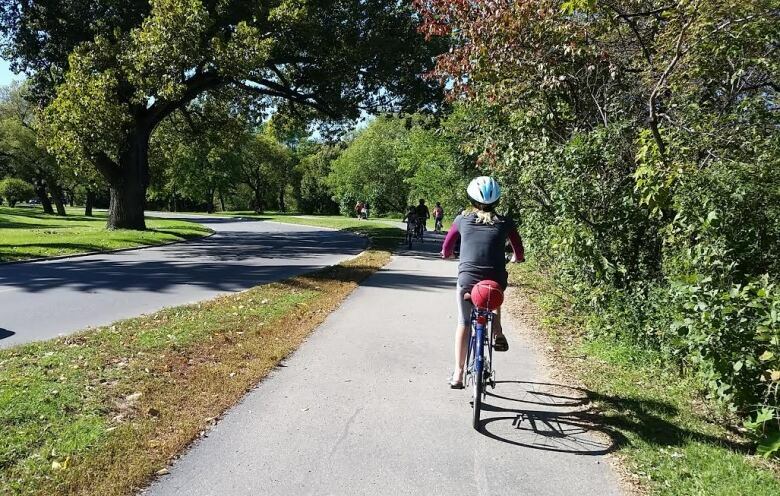 Further investments are needed to create an active transportation network across the city (as well as more functional public transit) to ensure that Winnipeggers of all ages have access to a variety of safe and affordable transportation options. Not making these investments is tantamount to not even allowing Winnipeggers to make their own transportation choices, other than the default option of driving, which for many is difficult to afford. Some food for thought for all of you when casting your votes in the upcoming municipal elections. Proud francophone and Métis Winnipegger Patrick lives in St. Boniface with his partner, three kids and dog, Baxter. 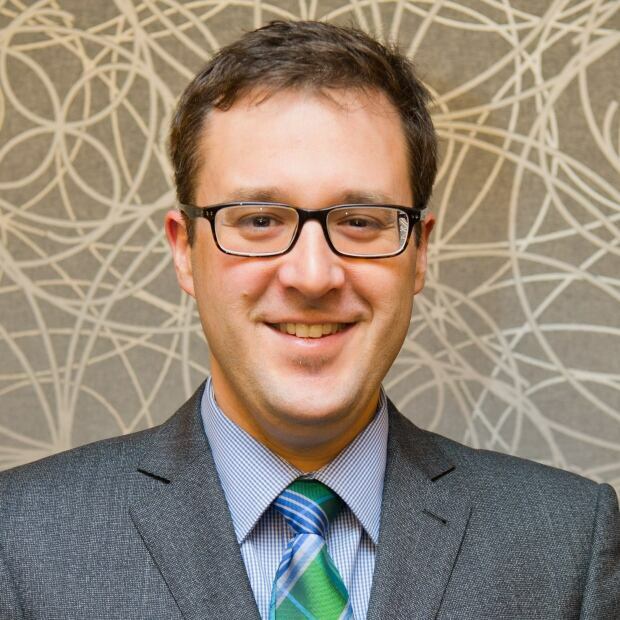 He is involved in various community initiatives and can be reached at patfortier@gmail.com.